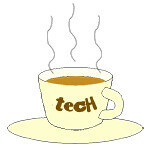 headphones « Tech bytes for tea? Logitech G has announced that the Logitech G933 Artemis Spectrum Wireless 7.1 Surround Sound Gaming Headset will be available in Singapore from end December, at S$299. When paired with Logitech gaming software you can customise audio settings and create personal sound profiles so you can listen to music, games and movies with preset audio preferences. The Logitech G​933 is fully customisable, features RGB lighting, swappable backlit speaker plates and programmable G-keys. Key features of the Logitech G933 Artemis Spectrum Gaming Headset below (from Logitech). The 2015 Philips Fidelio range of audio products comprises four headphones – the Fidelio M2L, M2BT, NC1 and X2 – and the Surround on Demand Fidelio B5 soundbar. Price and availability below. WOOX Innovations unveiled the 2015 Philips Fidelio range of high-quality audio products on board the luxurious Ping Lady Yacht, setting sail from the Marina at Keppel Bay to Lazarus Island off the southern coast of Singapore. The four headphones are designed to suit different preferences and priorities. The price and availability are tabulated below. Below are short descriptions for each of the new audio products (from the press release). Sennheiser’s URBANITE XL WIRELESS headphones are now available in Singapore, at the Sennheiser Concept Store at Marina Square and authorised retailers at S$419. The Sennheiser URBANITE XL WIRELESS goes wireless. Sennheiser first introduced wireless capability to its URBANITE headphone range at the Consumer Electronics Show 2015 a fortnight ago. The new URBANITE XL WIRELESS headphones add Bluetooth and NFC to the URBANITE formula of cool urban style and uncompromised sound, with massive bass and crystal clear trebles. The URBANITE XL WIRELESS deploys the latest wireless technologies for great sound and the ease of use. The latest apt-X codec is used to deliver clear, CD-quality sound. Set up with NFC allows easy Bluetooth pairing to NFC-compatible devices or by bringing the headset into close proximity. Atlas Sound & Vision has introduced four new personal audio products from Bose. SoundLink Colour Bluetooth speaker (S$219) and SoundTrue in-ear headphones (S$149). These are now available at the Atlas e-store and Atlas showrooms. The SoundLink Colour Bluetooth® speaker is a completely new SoundLink design and weighs just 567 grams.